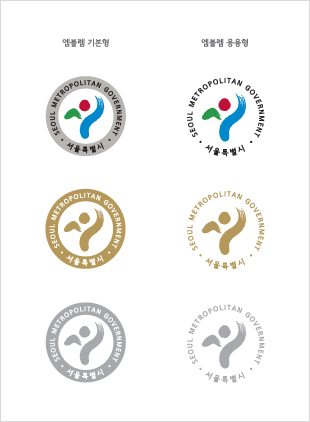 The Seoul Metropolitan Government designed its emblem to embody the bright future of the capital city of the Republic of Korea. 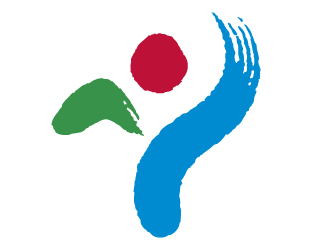 The emblem features the Korean letters for “Seoul” in the shape of a mountain, the Sun, and the Hangang (River), with the general design depicting the figure of a joyful human being, thus representing Seoul as a human-oriented city. Encompassing images of nature, humanity, and the city, the green mountain signifies respect for the environment, the blue Hangang (River) represents history and vitality, and the Sun in the center symbolizes the city’s vision of the future. These three elements are organically connected by being depicted as the strokes of a brush, visualizing an image of Seoul’s dynamic energy. The emblem was designed on the basis of national roots so that it can be seen as a symbol of Seoul’s present and future. The basic idea for the design was inspired by the works of two prominent painters of the Joseon Dynasty (1392-1910), namely, Mokmyeokjodon (Sunrise over Namsan (Mountain)) by Jeong Seon (pen name: Gyeomjae) and Mudong (Dancing Boy) by Kim Hong-do (pen name: Danwon). This emblem was adopted on October 28, 1996, replacing the emblem previously used from 1947. 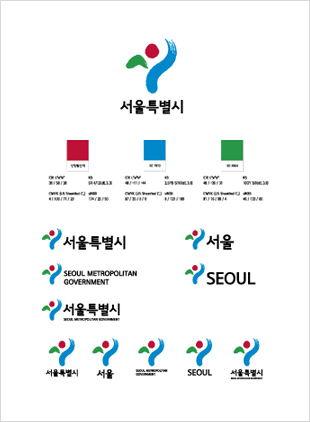 The logotype is one of the core elements of Seoul’s CI (City Identity) and was specially designed to represent Seoul in an official capacity. It was intended for use with the city’s insignia from the very beginning. The design cannot be changed under any condition.